ASG Dan Wesson 2.4 inch and 4 Inch Revolvers Almost Here! We are looking at the arrival of two new barrel lengths for the very popular ASG Dan Wesson 4.5mm BB Revolvers. The two new barrel lengths are the 2.5 inch Silver version and the 4 inch Black version. Based on the requests I have been getting for more shorter barreled revolvers and the popularity of the 6 inch and 8 inch Dan Wesson's we have already been selling, I know these are going to sell well. And as per usual, I will pick some up for my personal collection and do a full review to share with everyone. I am hesitant to offer a "Pre-sale" on these two new ASG revolvers with the current Customs delays going on but our last ASG shipment made it through pretty quickly. 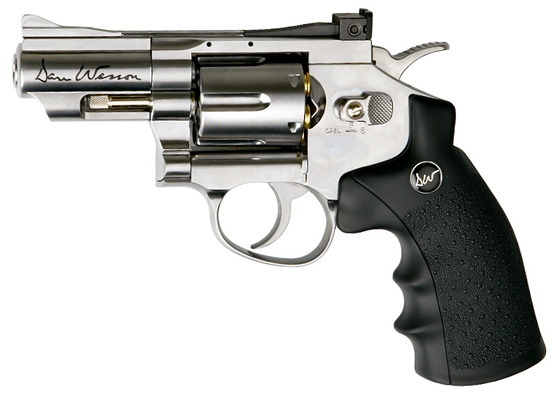 The expected availability for the ASG Dan Wesson 2.5 and 4 inch Revolvers is at the end of November!